The goal of this project is to automatically reconstruct Roman atrium houses based on floor plan data, and enable the reinsertion of removed archaeological material. After scanning hundreds of floor plans, the computational part of the project is now divided into two main parts which are being pursued simultaneously: detecting the different rooms from the lines of the floor plans of Roman houses with computer vision methods, and automatically detecting the rooms in a floor plan. Then, we will automatically generate the geometry for the first floor. The goal of this project is to digitally consider the four styles of Roman wall painting for individual images compared across a large data set: Pompeii, Herculaneum, Rome, Ostia, and Oplontis. We used watercolor reconstructions as the training data for this project, and then designed an algorithm that predicts the style of the paintings based on three key aspects: 1) framework 2) color 3) motif. Once we train the predictive system, we will bring in external collaborators to test the results of the algorithm. Our hope is that this tool will be useful to expand the dialogue around the traditional four styles of wall painting. This two week internship focused on developing a 3D restoration model of the entire area sacra of Minturnae, including the “Capitolium” and the three-winged portico that surrounded it. 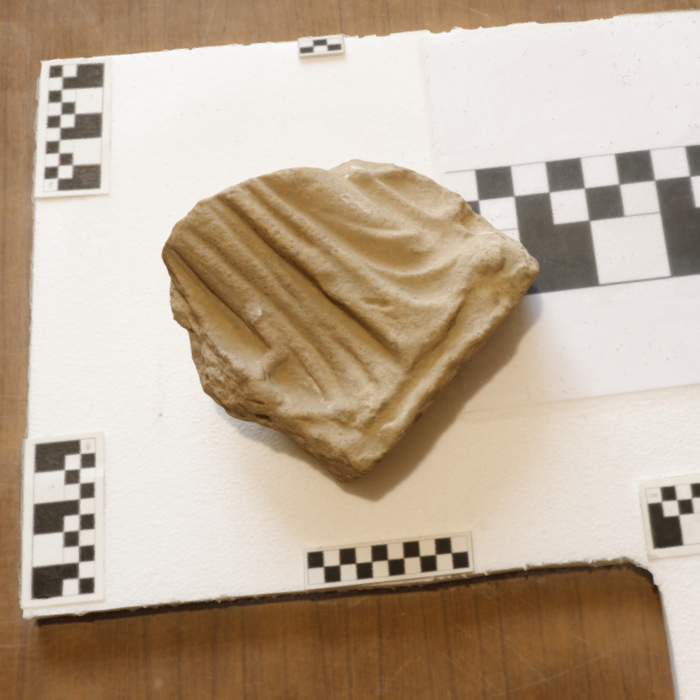 Both structures were decorated with architectural terracottas in antiquity, and it will be interesting to see how they relate/interact visually. The internship also allowed the creation of a digital record, which will serve as a useful tool in historical preservation and conservation. Sophie Crawford-Brown, my collaborator and the lead on this project, had already conducted most of the required archival and on-site research before we began. Laid out on the modern surface covering the remains of the Gardens of Sallust, the Villa Ludovisi once hosted one of the most significant collections of ancient Roman sculpture in the city of Rome. After the subdivision of the property in the 1880s and the economic crisis of 1893, the Boncompagni Ludovisi family sold a significant fraction of the ancient sculpture to the Italian state. Much of this sculpture is now on public display in the Museo Nazionale Romano - Palazzo Altemps. Meanwhile, part of the villa is still in the hands of the Boncompagni Ludovisi family: the Casino dell’Aurora, a late sixteenth-century building that today stands in the middle of a 3-acre garden. The goal of the project is to digitize the Casino dell’Aurora, its the immediate surrounding gardens, and the sculpture in the Palazzo Altemps. The project will be the topic of a paper for College Art Association and foresees the creation of a related scientific, free website offering access to the 3D models. The art historical aspect of the project will center around the reception of the grotesque in the early modern period. Sign up with your email address to receive news and updates from the blog.